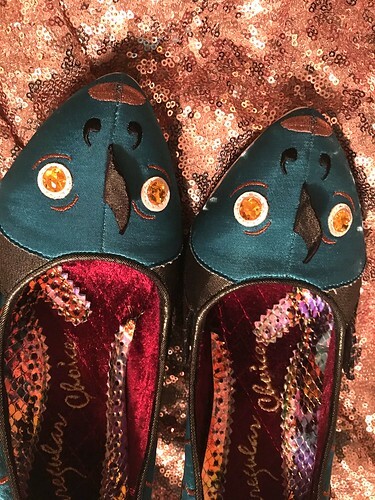 t*rexes and tiaras: Sunday Shoes 127: Irregular Choice Pinky Perky.. 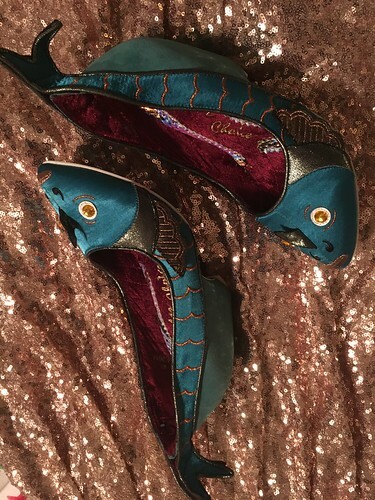 So, my Sunday Shoes posts are all about new additions to my shoe collection, old or new styles. Rather than being brand new, these are new to me, although actually when they arrived it turned out they were in pretty much brand new condition anyway, which was a pleasant surprise. When they arrived, I liked them even more than I thought I would. 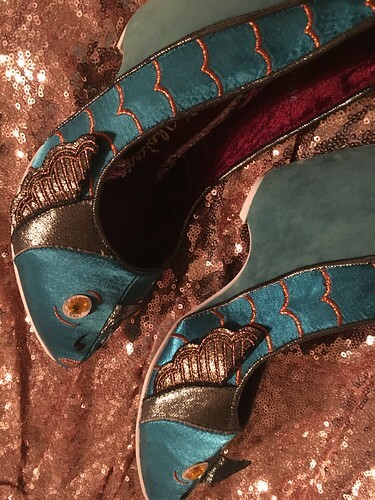 The heels are a fabulous rounded shape and the shoes have gold embroidery to show the fish scales. 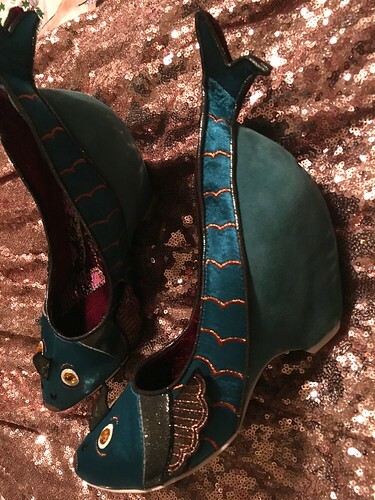 There are fins on the backs and the sides of the shoes and as usual, there is just so much detail to catch your eye.